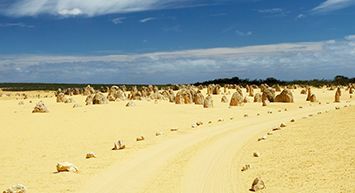 Wind your way from Adelaide to Melbourne over 7 days and get up close and personal with the native fauna and the spectacular coastal scenery for which this journey is so well known. To follow this campervan driving itinerary, pick up your campervan at our Adelaide branch and return it to our Melbourne branch. On departing Adelaide detour via The Barossa, one of the world's greatest wine producing areas. This beautiful valley of sloping green hills is home to more than 50 wineries, ranging from some of Australia's largest wine companies to small independent winemakers, all offering wine tastings at their cellar doors. (Remember: Don't drink and drive). Another option is to head up into the Adelaide Hills and detour though the historic town of Hahndorf. After lunch, continue south to catch the vehicle ferry from Cape Jervis to Penneshaw on Kangaroo Island. The ferry will take about 45 minutes; check departure times in advance. Kangaroo Island is home to the world's largest breeding colony of sea lions. The island has been carefully protected from mainland rabbits and foxes, so you'll find heaps of native fauna including the echidna, koala, platypus, goanna, glossy black cockatoo, albatross and the island's own species of kangaroo. Jump back on the ferry to Cape Jervis and drive across the Fleurieu Peninsula before arriving in Victor Harbor, a quaint little coastal village with heaps of character. While this is the longest sector on the journey,it rewards with marvellous coastal villages and stunning scenery. Firstly see Australia's only registered inland port, Goolwa, before heading north towards the historic village Strathalbyn. 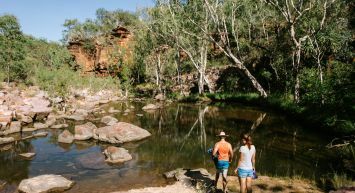 Head east through the Langhorne Creek wine region before reaching Wellington, where a free ferry will take you across the Murray River. The route passes Meningie on the shore of Lake Albert and the beautiful Coorong National Park before picking up the Princess Highway on the way to Kingston, and continues through Millicent all the way to Mt Gambier. Departing the SA's second-largest city the first stop is Port Macdonnell. From here you will travel to Nelson, and then drive along the Portland- Nelson Road to Portland, the site of Victoria's first permanent settlement. From here follow the Princess highway that sweeps around Portland until you reach Port Fairy. From Port Fairy head towards Warrnambool for a short, scenic drive. The highway then becomes the Princess Highway and tracks outwards from Allansford to the Bay of Island. From here, you will experience one of the best coastal sceneries in the world as you travel through Peterborough and onto Port Campbell. Continue on to Princetown, after which you will see lush farming countryside before hitting Lavers Hill. Head back towards the coast via Glenaire and you will reach the Great Ocean Road amongst the lush woodland of the Otway National Park, as you arrive at Apollo Bay. 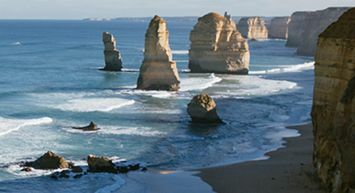 Today's trip begins with spectacular scenic coast along the Great Ocean Road from Apollo Bay along the Kennett River, through Lorne, Aireys Inlet and Anglesea, before hitting Torquay, Australia's surfing capital. Continue the short Surfcoast Highway drive to the village of Barwon Heads. Cross the bridge and head across the Peninsula famous for its long, sandy surf beaches. Head towards Point Lonsdale where you can overlook the treacherous entrance to Port Phillip Bay, aka "The Rip", before the final short drive to Queenscliff. From Queenslcliff it is a 30 minute drive to Geelong, the 'city by the bay'. From Geelong, keep on the Princess and West Gate Freeways for the trip to Melbourne.